Home » GA » google analytics » Justin Cutroni » not provided » Search Query Privacy or Google Conspiracy –Answer ‘Not Provided’! Search Query Privacy or Google Conspiracy –Answer ‘Not Provided’! Stop Crying! Buy our Candy, Its NOT FREE! The most predictable catastrophe may yet to come when % of ‘Not Provided’ in Google Analytics increases up to more than 60% or 80%. As of now, its 30%-40%, which least draws our attention, as we often claim that 80% data in GA is more than sufficient to analyze visitors’ search patterns. Sounds good but what if ratio inverses as 80:20? 3) Growing number of users signing up G+ (Logged in Search). The way Google promotes and encourages users to use Chrome on desktops and android devices further verifies the claim that % of missing data in GA will go up.Google has updated their Chrome browser and has started sending toolbar searches through their SSL/secure search at https://www.google.com. I guess % of ‘Not Provided’ by the end of Dec 2013 would be at least 40%-50% higher than what we are seeing normally. Cutroni’s argument “No digital data is perfect. So why people are complaining about missing keywords in GA” apparently favors Google management for obvious reason. As an analytics advocate at Google, Justin gives all reasons in his defense for Google. Yes, Justin, “you are right” that missing data “Not Provided” impacts marketers’ efforts. However, this is not just a simple answer to justify your argument. Google always claims that they respect privacy of users. However, this should not be the holy grail of putting their reasons to us. Keeping users’ privacy is one thing but keeping ‘search queries’ of users for commercial intent is another. I do agree with Stephane Hamel and must say that chrome using HTTPS can hide referral info, but passing on the search keywords through query string is entirely possible. Why not Google let it pass to users. Why they conceal this in the name of users’ privacy? If Google cares the so-called users privacy so much then why it does not show ‘Not provided’ to AdWords users? As far as I guess why Google conceals the data in GA is probably because Google may launch its own keyword re-targeting feature within PPC very soon, There's already a beta version "search companion ad". Why Should Not Babies Cry? Why Shouldn't We Cry if Answer is "Not Provided"? 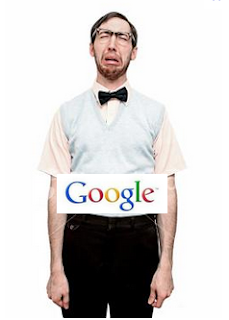 It’s true that Google never wants to encourage SEO for a true analysis. That’s why the job of SEO is getting tough these days. Being a private company, Google has this privilege to do anything they want. It’s like Google gives a chocolate to a kid, and then takes it away because they bought it, and they want to sell it to the kid to stop him crying.J This is what Google did and they do. The most recent example is ‘paid use of Google apps’! Now, tell me why should not 'babies (SMBs)' cry? Hardly do I believe that the much awaited launch of Universal Analytics by Google addresses this issue of missing data in analytics. To my understanding, search is a function of ‘query’. If Google conceals 80% ‘search queries’, the whole purpose of using analytics is nullified. Do You Agree With Conclusion? Summarizing my thoughts in agreement with Stephane that concealing search keywords should be actually a profile option rather than an arbitrary decision on the part of Google? Do you agree?